Baby cribs are available in various types and varieties. You can look for the features mentioned in this article to make the right choice before buying the crib. A crib is a place where the baby rests for the maximum hours of time. You can find a crib that is a combination of a crib and a bassinet. There are different types of cribs that you can choose from depending upon your budget and features available. Convertible cribs are something that you will look into if you are going to use it for a longer time. These are the things to consider when buying a convertible crib. There are three types of convertibles. You can choose from the 4-in-1, 3-in-1, and 2-in-1 convertible cribs. For long term use, you can use the 4-in-1 convertible crib where the infant can grow into a toddler. This is one of the most popular choices for a crib. This is the type of a crib that comes with a rail and can be used as a bed, a crib, as well as without rails when the kid wants to play on the floor. It can be used as a full-sized bed when the baby grows into a toddler. 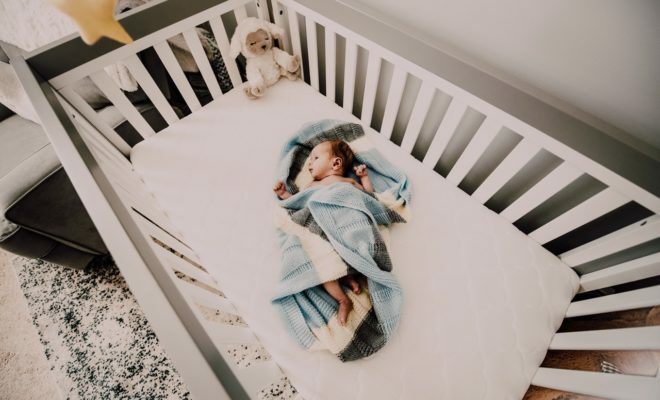 The 3-in-1 convertible crib is something that you can buy if you want a crib that converts into a daybed and a toddler bed. This is the type of convertible crib that does not convert to a full-size bed. The 2-in-1 convertible crib converts to a toddler bed and a crib. You can choose from any of these types of convertible cribs depending on your budget, duration of use, and other requirements. This is the feature for a crib to look into depending upon the space inside your home. If you have a larger space and do not move the crib around, the non-folding crib is the best option. For smaller spaces and those who travel with their babies, the folding crib is one of the good options. It saves space and is portable. Most of the folding cribs are lightweight compared to the non-folding cribs. A folding crib also comes with wheels. There are many variations in the folding as well as the non-folding crib that you can look into. This is also a feature to look into if you are not too tight on the budget. You can put all the items of the baby products into this storage and use the crib for the baby. Look for cribs that have storage compartments and also an additional feature like the changing table. There are many additional features that the cribs come with. It depends on the brand what features that have added to the crib. You can check various brands for additional features that suit your budget. This is one of the important features to look into as it is a safer option for infants and toddlers. They have the habit of spilling liquids and food items inside the crib. When you look into a material that is eco-friendly for the convertible crib there is a lesser chance of any toxic material or compounds that get released when there is spilling of hot liquids or food. The infants and toddlers can breathe in non-toxic air when placed inside an eco-friendly crib. Cribs that have railing are good to convert a crib into a full-size toddler bed. It makes it convenient for you to use it for a longer period of time and is safer for the kids to play and sleep in them. Most of the convertible cribs come in the railing. It keeps the kid secure inside the crib when they are awake and want to play. These are the features to look into a convertible crib when you are buying one for your infant or toddler. One of the things to consider when buying a convertible crib is to look for the option of an adjustable mattress. Look at the design, construction, and durability of the crib. It must be easy to assemble and must come with a warranty. They come in elegant designs and colors and can be cleaned easily with soap and water.